Born and raised in Salvador, Bahia, Dandha Da Hora has been a member of Ilê Aiyê, one of Brazil’s most important musical and cultural institutions, since she was 6 years old. A master dancer, as well as vocalist and percussionist, Dandha invokes the incredible spirit of Ilê Aiyê and Salvador, Bahia, each time she steps onstage. As a lead dancer with Ilê Aiyê, Dandha toured internationally and has shared the stage with many of Brazil’s most renowned artists such as Caetano Veloso, Gilberto Gil and Daniela Mercury. 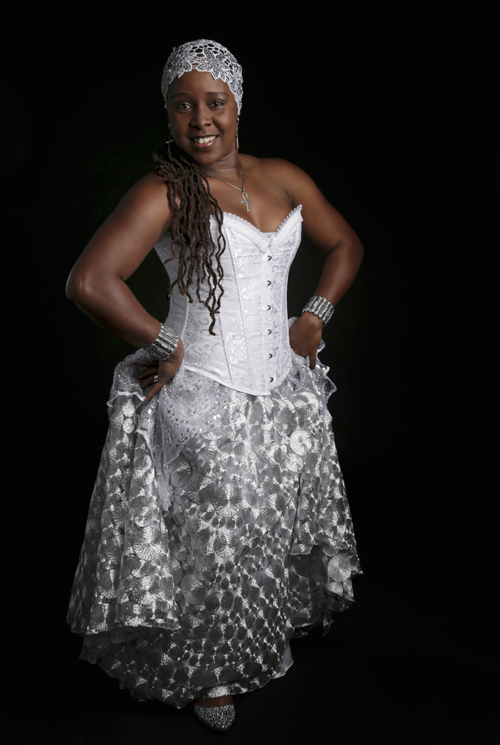 In addition to performing with Ilê Aiyê and SambaDá, Dandha has performed with Casa Samba (New Orleans, LA), SambaDendê and Bateria Alegria (Boulder, CO), Banda Remelexo and Bahia Soul (Bay Area, CA). Alongside a full touring schedule, Dandha also is a master dance teacher and teaches ongoing dance classes in Santa Cruz and the San Francisco Bay Area, as well as giving special workshops across the country. Whether she is teaching, dancing, singing, or playing an instrument, Dandha’s art always reflects her passion for sharing Afro-Brazilian culture, and she brings a message of hope, love, equality and freedom every time she performs.